NASCAR Winston Cup drivers are the marathon runners of the racing world. Unlike drivers in Formula One, CART and IRL, they endure a 10-month grueling season that consists of racing, practicing, qualifying and testing. As if that isn't enough, many of them also race in the Busch series as well. As I watched the scurrying action in the Dover pits this past weekend, a question came to mind. Does their participation in the Busch series affect their Winston Cup performance? Busch races are typically run on the day before the Winston Cup event, usually on Saturdays. As of the Dover race, there have been 18 weekends in which a Busch and a Winston Cup race were held on the same weekend at the same track. This affords Winston Cup drivers the opportunity to drive in the Busch race as well. For those who are scheduled in both races, the weekend is extremely busy. For three hectic days, the driver chalks up dozens of practice and qualifying laps, followed by hundreds of race laps. Does all this action help or hinder a driver? There are certain arguments that could support either case. Ask any race team member and they would tell you that the more laps they can run, the better they can fine-tune the car's setup. Drivers will tell you that they can get more familiar with the track configuration and conditions by having additional driving time. During a Busch race, drivers can get a better feel for how their car will perform and how they will react with other cars on the track. This interaction is more difficult to accomplish during practice and impossible during qualifying. Okay, so everyone agrees that time on the track is a premium that benefits the driver. But wouldn't all these laps in one weekend lead to driver burnout? On some tracks, drivers can rack up over a thousand laps and six hours behind the wheel. I realize that most drivers these days do some form of regular physical workout. 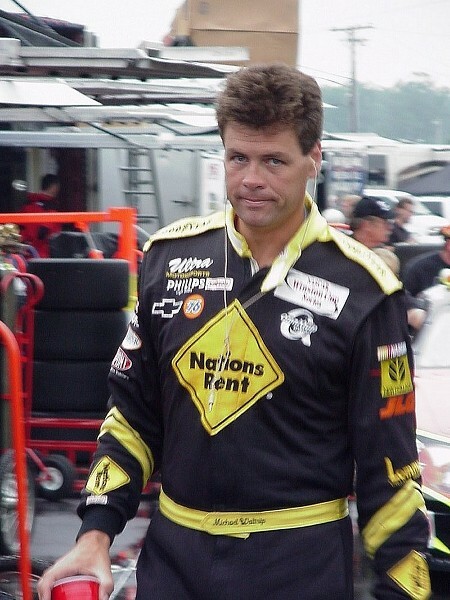 Except for Michael Waltrip, however, most drivers don't run in marathons nor would they qualify for the title Iron Man. When does lack of endurance become a factor? Also, these laps are run while alternating between two different vehicles, often with two different pit crews. One could argue that Busch and Winston Cup cars are very similar. On a television screen, they look very much the same. But in fact they have different weights, wheelbases and horsepower. This makes a difference in regards to handling, braking locations, track line and pit strategy. I was watching woman's gymnastics at the Summer Olympics last week. During the vault exercise, many athletes seemed to be missing their marks as they pushed skyward off of the vault to twist and turn in mid-air. One young woman was almost seriously injured when her hands slipped completely off of the vault apparatus. Why were the best gymnasts in the world performing so poorly? It turns out that someone had improperly set the height of the vault by a mere one-half of one inch. The athletes had practiced for thousands of hours at the proper height, only to falter when the vault was misplaced. Wouldn't this apply to Winston Cup drivers who switch between two different cars, even if the difference seems so slight? In order to evaluate the performance of drivers who participated in both Winston Cup and Busch races on the same weekend, I selected 14 regular Winston Cup drivers who have competed in a minimum four combined Winston Cup/Busch race weekends this year. The drivers ranged from Matt Kenseth with 16 Winston Cup/Busch races to Ward Burton with 4 races. I tallied up the average Winston Cup place finish of the driver during combined Winston Cup/Busch race weekends and compared it to their overall average finish for all Winston Cup races this year. Based on my large pile of statistics, I expected to see one of two different trends develop. In the first trend, drivers would be overworked, and finish lower in the standings during Winston Cup/Busch combined race weekends. With the second trend, all the extra track time would help them to improve their finishing positions on combined race weekends. I was wrong on both accounts! For nine of the 14 drivers, participation in a Busch race affected their average subsequent Winston Cup finish by three positions or less. 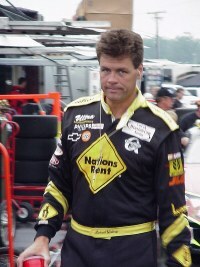 For example, Steve Park is averaging a 19th place finish in Winston Cup races following a Busch race the previous day. His average finish in all Winston Cup races this year is 18th place. Similarly, Mark Martin is averaging a 13th place finish in Winston Cup races following a Busch race and 12th place finish overall. In other words, the difference in their Winston Cup performance between Busch and non-Busch race weekends is negligible. Of the remaining five drivers who had significant disparities between Busch and non-Busch race weekends, three drivers have performed better and two have fared worse. Ironically, the largest disparity involves Jeff Gordon, who is averaging a decent 13th place finish overall, but a poor 25th place finish on Busch weekends! Conversely, Terry Labonte has been helped out by the dual-race weekend, averaging a 6th place Winston Cup finish on combined Busch weekends, but only an 18th average finish overall for the 2000 season. 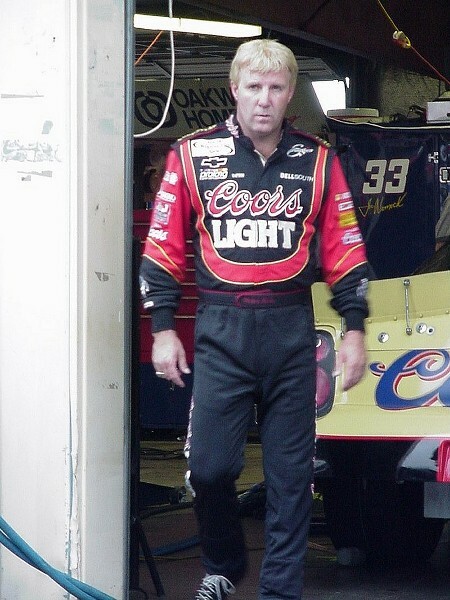 Similarly, Sterling Marlin has finished in 14th place and 21st place respectively. Maybe Terry and Sterling should consider more Busch races on their schedule next year. I normally don't develop major conclusions based on statistics alone. There are too many variables and intangibles that affect every aspect of racing. It takes so many different people and components to compete and win at the Winston Cup level. Something as simple as running over track debris can reduce an exciting first-place finish to a disappointing 43rd place DNF. I do think that these statistics, however, prove one major point. Winston Cup race drivers and their teams are some of the most versatile performers in the world. They perform in weather conditions ranging from arctic to tropical, arid to drizzle, and everything in between. They race at dozens of different tracks every year, with two new tracks being added in 2001. Each track is unique in its configuration, shape, speed and banking. At Watkins Glen, they even make them fuel the car from the "other" side. With all of this to contend with, some of them still manage to successfully tackle the track in two different cars in the same weekend. Even in my days of high school athletics, I don't think I ever had that kind of endurance. Maybe Winston Cup drivers should be called Iron Men after all.